Full Size Mattress 54″ x 75″ Click Here For Foam Specs. Please email us your zip code and the thickness of the foam you want for a shipping price. * There are 7 types of foam you can choose from. * You can have different types of foam glued together for better comfort. * Covers can be made out of any fabric. * Covers for mattress are $135.00 (any thickness) in light gray or white Quilted Tencel. LUXURY-FIRM: This foam grade is firm high density foam. If you are looking for support, and durability then this foam is for you. This kind of foam is rubber based which means it will not break down like ordinary foam. It will maintain its original shape and density for many years. This Foam grade has a firm feel offering a high degree of support while retaining its shape and density. 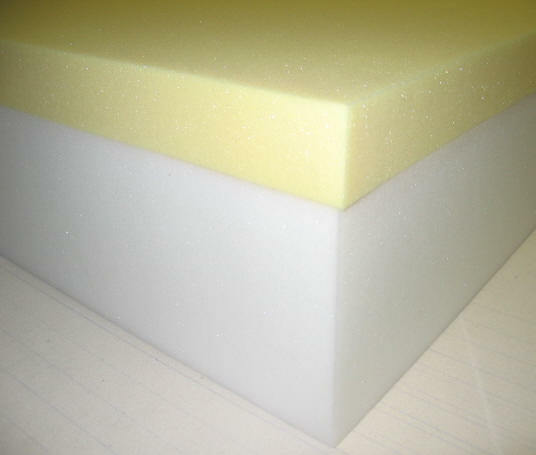 Premium-Medium High Density: This foam grade is medium high density foam. If you are looking for support, comfort, and durability then this foam is for you. This kind of foam is rubber based which means it will not break down like ordinary foam. It will maintain its original shape and density for many years. This is our most popular foam for seat cushion replacements and is highly recommended. MEDIUM/SOFT HIGH DENSITY: This foam has a medium to soft feel depending on the body weight of the sleeper. It offers a high degree of comfort and will retain its shape and density. 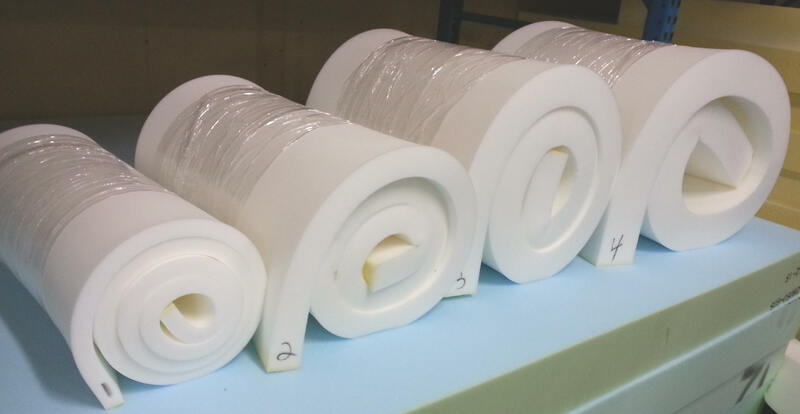 This foam grade is high density rubber foam. This kind of foam is rubber based which means it will not break down like ordinary foam. If you are looking for comfort and durability then this foam is for you. STANDARD SOFT FOAM: This mattress is ideal for children, babies and lightweight adults. It has a soft feel depending on the weight of the sleeper. STANDARD (less expensive) FOAM: This is a medium density type of foam which is a 1.5lbs density. It’s intended for temporary use such as camping, guest beds, fold-out beds, etc. If you purchase more then one item shipping cost will be less. © Copyright 2018. Foam N’ More & Upholstery, Inc. All rights reserved.